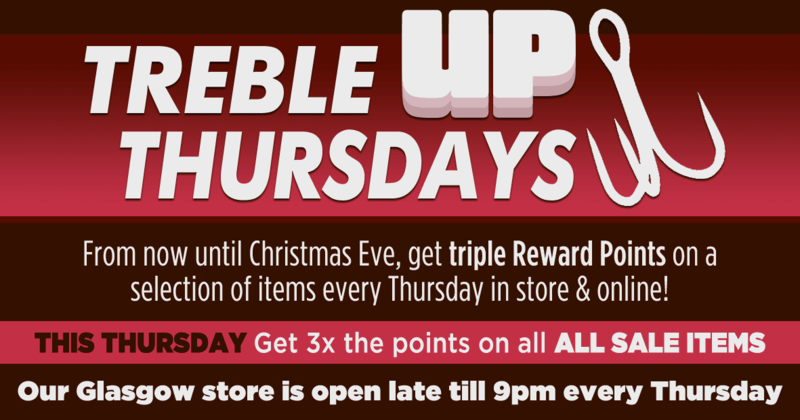 Every Thursday until Christmas Eve 2015 you can now get triple reward points on a wide selection of items both instore and online at Glasgow Angling Centre. 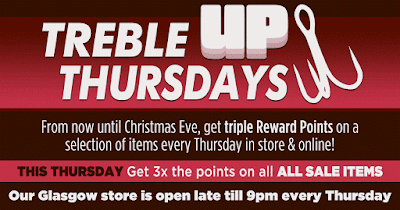 This Thursday (17/12/2015) get 3 times the points on all Sale Items. Also note that our Glasgow store is open until 9pm every Thursday night and with a massive selection of sale items on offer for our Treble Up promotion, you won't be disappointed! Don't have a Reward Card yet? You still have time to sign up, just ask any member of staff instore or apply online HERE!